Our specialists look at the overall cost of your packaging from design to delivery, taking into account your business needs and specific packaging requirements. They will advise you how to best protect your products and how you can make savings of up to 35% on large orders. The best selling products at the best price. Bulk quantity discounts: the more you order, the more you save. Special offers throughout the catalogue. Make savings with our price deals per pallet. Additional benefits for ordering large quantities. All prices are valid until 28/02/2019. 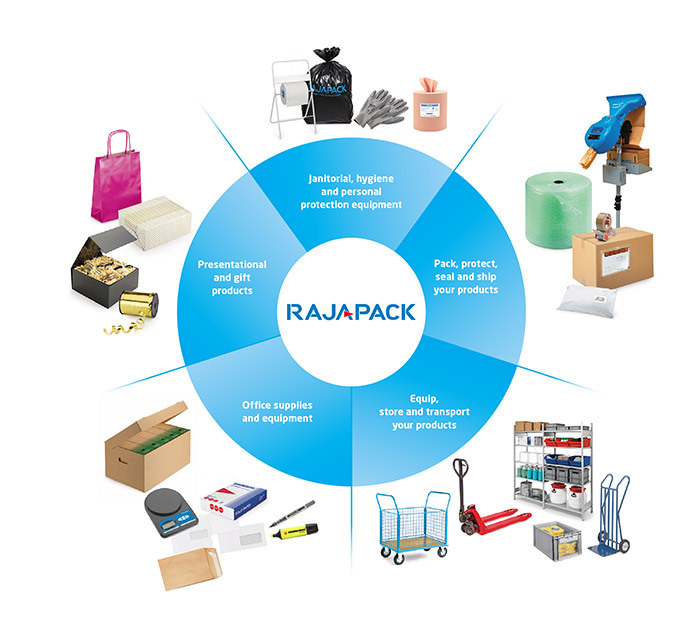 Benefit from RAJA products and services on all your packaging supplies and equipment. The RAJA brand is a guarantee of professional solutions that meet the needs of businesses in every sector with friendly, local service. RAJAPACK offer you 3,800 products in stock, next delivery and advice on all products!